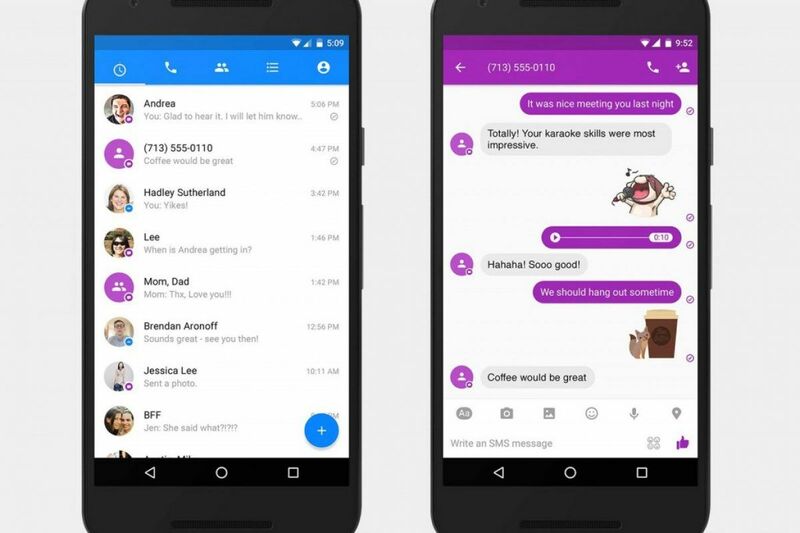 Did you think Facebook was a little too eager to have you using Messenger for SMS on your Android phone? You’re not alone. Concerns are mountingthat Facebook’s SMS prompt might violate Google Play’s policiesprohibiting deceptive device settings changes. You see, the prompt offering to switch SMS to Messenger offers only a big “OK” button and a tiny “settings” button — there’s no obvious way to decline the change. You can, of course, but it’s buried. We’ve asked both Facebook and Google for their stances on the app and will let you know what they say. Whatever their reactions, though, it’s not surprising why Facebook would push so hard. The more you use Messenger for your chats, the more likely it is that you’ll use Messenger for purchasesand other services that might help Facebook’s bottom line. It’s just a question of whether or not the social network is being completely honest with users who don’t realize that SMS integration is strictly optional. Update: In a statement, Facebook tells us that it’s still being fair. You go to “settings” (as expected) to decide against using Messenger for SMS, and you’ll get a permissions request before the change happens. That’s important, but the concern is more that Facebook doesn’t have a conspicuous “no” or “skip” option that makes it clear this integration isn’t mandatory. You can read the full statement below.